The classic car collector is an odd species. Whereas most car buyers prefer modern, high-tech vehicles, the classic car collector aspires to own the icons of decades past, and if possible, like-new, unrestored examples. There’s something magical about it; the idea that a car has remained untouched, in hibernation, just waiting to be set free. It’s enough to get any gearhead’s heart pumping, and this rarified Porsche 911 is one such car. 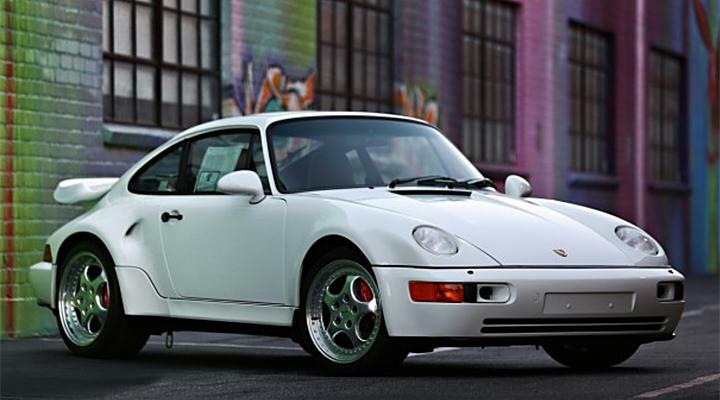 But it’s not just any Porsche, it’s one of just 76 Porsche 911 Turbo 3.6 S “Flachbau” models built for 1994, one of only 39 to be sold new in the USA, and one of just two painted in lustrous Grand Prix White. Even more amazingly, it’s driven less than 40 miles since new. In fact, you can find its original window sticker still attached. Jaw, meet floor. Expectedly, it’s not cheap. The rare Porsche 911 will cross the Gooding & Companyauction block on August 20th in Pebble Beach, California, expected to gavel for upwards of $1.8 million. While its “Flachbau” front end, referred to as “flatnose” or “slantnose” in the US, may not be universally popular with Porsche devotees and 911 purists, there’s no denying this car’s historical significance. In 1993, Porsche was ready to phase out its aging 964 generation of Porsche 911 sports cars, soon to be replaced with the visibly much-different 993 generation cars. As a last hurrah of sports, Porsche’s Exclusive Department hinted to dealers that it would produce a special version in limited numbers for its most adoring fans. This was it. The Flachbau 3.6, as its name suggests, readied an enlarged 3.6-liter version of Porsche’s calling card flat-six engine, turbocharged to kick out a raucous 385 horsepower… and these machines could surely hustle. Its wave of torque was sent to the ground through a slick five-speed gearbox and limited slip differential, all while looking like nothing else on the road, courtesy of its sleek schnoz, heady alloy wheels, creased rear air inlets, and of course its large boot spoiler. This car however has had none of the usual track day runs and performance outings of its other rarified contemporaries. According to Gooding & Co. it was purchased new by a collector in 1994 and has remained in that collection ever since. 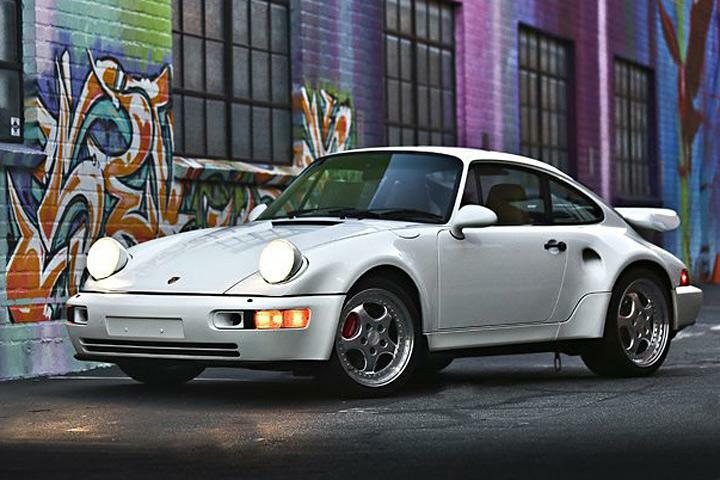 Think $1.8 million for a 40-mile ‘90s Porsche is a bit steep? The auction house recently sold another ’94 Flachbau Turbo S 3.6 from the Jerry Seinfeld collection, which had 12,500 miles on the clock. It sold for an eye-opening one million bucks. RELATED: Porsche 911 Not Scary Enough? This One has a Corvette V8! What Topanga Looks Like Now Will Drop Your Jaw!